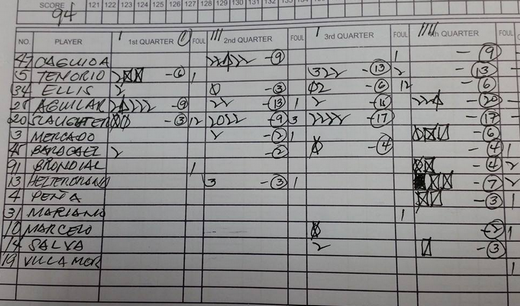 Ginebra vs. Jordan Tune-Up Game Box Score: Check it out here! Check out the box score of the game between Barangay Ginebra San Miguel and FIBA Asia Team Jordan. Japeth Aguilar and Greg Slaughter scored heavily in Ginebra's 94-85 tune-up win.